So what causes road rage? Some studies say as many as nine out of ten and others over half of UK drivers have been road-rage victims. But let us bear in mind that some of the perpetrators may be victims of violence themselves. So it may be worth all learner and experienced drivers having stress and anger management preparation, even if they’ve not experienced it yet! We are a crowded island and might have the highest incidence of road rage in the world according to some reports, but only about seven-per-cent of incidents are reported according to one study. Conducted in conjunction with the RAC Foundation, it suggests only 14% of road-ragers feel any remorse. When we get into our cars or vans or trucks we enter our territory, our space, our metal box on wheels or perhaps our polished-pride-and-joy. And usually the vehicle is very compliant and responsive – it obeys us. We have control. But then we find we can’t control all other road users. Especially if we feel we either have total control elsewhere in our lives, or too little control - we might be very affronted if someone does not drive the way we want them to! Road rage is an angry response where someone feels perhaps so transgressed, wronged in some way so strongly they cannot regulate it, in which people sometimes become impossible to reason with – perhaps in some cases even losing touch with reality and what is reasonable. Some studies suggest 96% of incidents of road rage involve men who tend to be teenagers and in their early twenties, while other studies suggest an average age of thirty-three years old. It’s claimed that a third of all car crashes are caused by road rage and a third of fatalities in the USA. When we drive or travel as a vehicle passenger we often start thinking of people as things, as drivers, not humans with lives, friends and families, problems, worries, just objects that are in the way in a crowded space. Rage has a powerful physiological effect on the body and heart rate goes up – it might feel as if you are in a cartoon where it looks like it might jump out of someone’s chest. Symptoms can include tight feelings across the chest and breaking out in a cold sweat. If someone is already angry before they get into their vehicle they can tend to feel more possessive and protective of their territory (their car) and be more likely to take risks in responding. Another possibility is that an alleged assailant may have been affected by drugs such as cocaine or amphetamines or may have had too much to drink which makes some people aggressive. Another possibility is that a person appearing to show road rage may be experiencing something which in psychotherapy we call “transference” where they are really angry with their mother or their boss, but the incident on the road triggers us to transfer those feelings of anger onto another person like the driver or their car. One other potential situation is that the road rager experiences out of the blue what is known as a “puff of madness” – a temporary state. It could be that an aggressor had recently been on the phone and had a confrontation, or was having an argument in the car with a companion and the anger spilled out onto the road. Domestic or friend on friend violence can lead to road rage, and road rage can make domestic violence worse too. Writer Harvey Gordon refers to a study by Tillman & Hobbs, back in 1949, which found a ‘high-accident’ group of taxi drivers showed “marked intolerance of and aggression towards authority”. These drivers manifested elements of conduct disorder, psychological maladjustment, an irresponsible approach to driving and more likely to have criminal convictions. Britten (2003) mentions for example, a Manchester man, enraged after seeing his football team defeated, lost control of his car while driving dangerously, killing himself and 12-year-old son. Fong et al (2001) found road-rage was associated with generally higher aggression plus a substance misuse history and abnormal personality traits. Someone often feels, correctly or incorrectly that his or her boundaries have been violated or in some way they were disrespected. For all we know a road rager could usually be a nice mild mannered person having a really rough day. What they perceived as perhaps provocative might not have been seen that way by another person. Cases, where someone grabs a scary weapon and doesn't allow thoughts of potential consequences to stop them, are rare. The consequences of such anger include a greater risk of heart attack, stroke and even an earlier death, especially in the two or so hours after an incident. Under a brain scan we know certain areas of the brain are likely to light up like a Christmas tree when we get angry. The brain is the most complicated thing in the universe that we know of, so we don’t yet know everything about it. Research about anger showed more activation of the left hemisphere of the brain and, when we are angry, apparently hearing can improve in the right ear! Lower down in the brain there is an ancient part known as the Reptilian or Limbic brain which is thought to be involved in powerful threat and safety issues, which trigger what is called the "triple F" response of fight, flight and fright. This area of the brain is especially concerned, for example, with whether something is safe or a threat - in other words, our survival. Within that area of the lower brain, there is a structure called the amygdala – a couple of round shaped things and it is thought that these are involved. In a sense, we can get hijacked by our amygdalas and be so emotionally flooded that we can’t think straight or process very limited thoughts. If we are really angry or terrified we might find our judgement becomes poor and that we are not evaluating the best course of action - we are acting in an immediate knee-jerk kind of way. This connects to a whole system of alert in the body which involves producing more adrenaline from the adrenal glands, the two smallish triangular glands which live above each kidney. The body produces hormones and is made ready for fighting, running or hiding and it can be hard to think of more sensible things because we can be emotionally flooded. It may be that the orbitofrontal cortex of the brain is involved in emotion regulation as well. We often get hot, go red in the face, maybe sweaty and might even feel our legs go wobbly when we are very distressed or angry. There is something about road rage and being encapsulated in a car or another vehicle which we see as our territory that can add to us losing our inhibitions, so we sometimes let anger run riot. It might that they feel this incident is “the last straw that broke the camel’s back”. Maybe when the other ways occurred in which they have been offended, oppressed, slighted, or disrespected they felt they had no opportunity to fight back. But now there is another driver who might seem more vulnerable to attack. Maybe someone feels the world should respond to their needs above other people’s because they feel they are very important, with a sense of grandiosity. Perhaps they feel others should be mind-readers and magically know or guess they are in a big hurry or that they should be honoured all the time, for example by other people moving out of the way or stopping on their demand. If people have had experiences which are traumatic or where they have learned that a way of handling conflict is to hit out, then inhibitions which would normally stop a person from doing the unreasonable may not be there! Studies into violence and inhibition have revealed that areas of the brain connecting action to emotion on scans indicate the pathways are not lighting up in some people, indicating pathology because there is a lack of empathy. If a road rager cannot imagine what it is like to be the other person they are less likely to care and so less likely to inhibit their desire to hit out. We learn a lot about handling everything from annoyance to outright conflict from our parents and or caregivers as we grow up. So sometimes someone who is aggressive is actually a victim themselves who was abused as a child or is being abused by a bullying boss. Having said this there are of course lots of people who have been abused who do not go on to live with excessive anger and are never violent. When I hear about a violent road rager I wondered what they have experienced in their life and what unfair treatment they might have received, or what is going on in their life right now that their tolerance is low and that they expect people to behave in a certain way towards them. When it comes to the victim of such an attack, or who I would rather call a survivor, it would be understandable that they might experience shock, disbelief, a sense of unreality, even dissociation as if part of them is not present and other symptoms of post-traumatic stress. 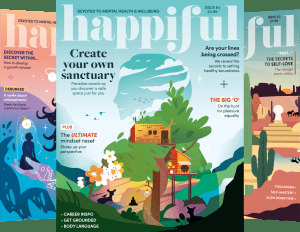 There are ways to help to calm that powerful triple FFF distress response down. Symptoms such as nightmares or flashbacks where they re-experience what happened may occur, possibly as well as panic attacks. The good news is that there are great empowering techniques for managing and even stopping panic attacks for most people. Research into trauma shows that avoidance of certain activities often sets in, and it is really important that the survivor is supported to be able to continue doing things when they are ready and returning to anything they have avoided so that they don’t get into any habits verging on the phobic. The other good news is that most of us can make new brain cells in six seconds! We can learn through anger management and perpetrator programmes or at the other end of the scale dampening down the traumatic response, to become calmer on (our own) demand. 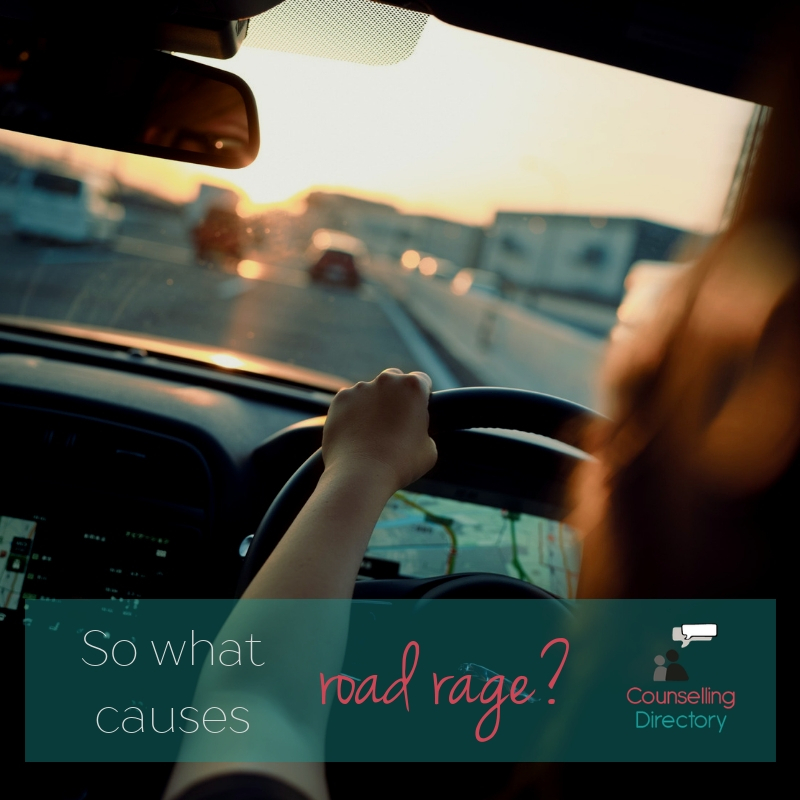 If you have the challenge of road rage, anger, stress or you have been traumatised by an encounter with an aggressive person then psychotherapy and counselling can help you to transform those negative feelings. With techniques and new ground rules designed to stop such risky behaviours - risky for victims and risky for themselves - through therapy most people can manage their anger, and by reducing their stress live longer. Most survivors of road rage incidents can also recover, particularly with the right psychotherapy. Located in Warwick and Leamington Spa.